Your skills are valuable. So is your time. How can you make plans if you don’t know your work schedule in advance? You can’t. You miss family gatherings. Birthday parties. Appointments. We don’t think that’s fair to you. 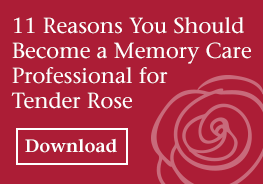 At Tender Rose, we provide one-on-one care to clients in their homes, and we give our caregivers their schedules for the entire month. Which means we give you more control over your life. We also offer our caregivers 8–12-hour shifts and a more consistent schedule. That means you get to spend more time with each client—and more time making a difference.